The Museum School is having its annual Career Day Event on Tuesday, May 8, 2018! It is our vision to expose our students to a variety of careers. In order to achieve this vision, we need the assistance of our parents and community members so that together we may educate students on the importance of furthering their education and the vast career opportunities that are open to them. Therefore, we cordially invite you to make a career presentation between the hours of 9:00 a.m. and 12:00 p.m. on Tuesday, May 8th. Presentations should be between 20-30 minutes in length. You will present to students ranging from kindergarten through 8th grade. The recommended topics include: education/training in your career, personal skills necessary in your field, typical day in your field, related school subjects, child friendly games and presentations, hands on activities or visuals, etc. We would certainly like for you to spend the morning with us, but we will work around your schedule, and we appreciate any time that you may be able to dedicate to this very rewarding experience. 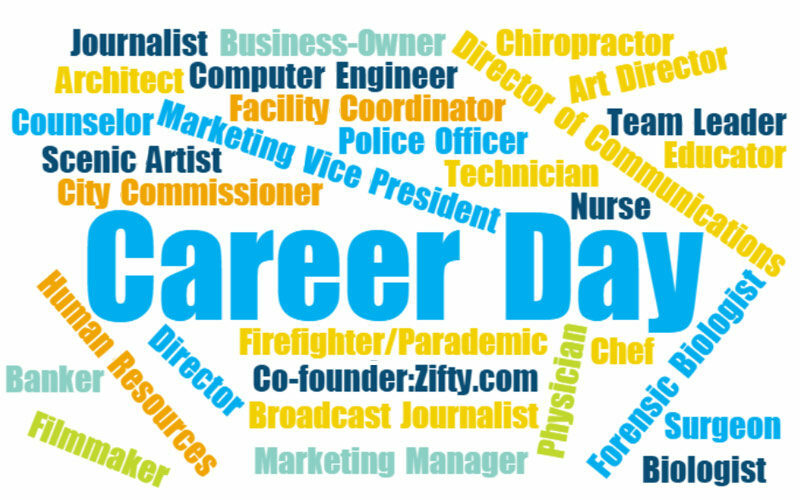 Please complete this Career Day signup form with the link by Friday, April 20th if you are interested in speaking. If you have any questions, please feel free to contact me via email at sheena.wilson@themuseumschool.org or Erin Berman at erin.berman@themuseumschool.org.